Q: I would like to know how the Ministry of Defence (MOD) proposes to tackle the issue of ‘community’. It is isolating enough moving to a new area, but when you are in Service Family Accommodation (SFA) with other military families you have the HIVE, community facilities and groups around you and it takes the edge off and helps you meet people. If SFA ends up being a house ‘somewhere’ random where an available house has been found for rent, people aren’t going to travel 20-30 mins to the HIVE etc and will be totally isolated. Online and email support is not the same as being able to talk to another human being when you feel alone. It recognises the significant demands and constraints resulting from military service on both the individual and their families, and is committed to providing comprehensive support and reward to our people that meets the aspirations of a modern diverse society. This is known as ‘the Offer’. As part of the developing FAM, there is ongoing discussions to understand the current Serving personnel (SP) support welfare services provision (as is) and identify any potential issues. Q: Why is this still being proposed when faced with such hostility by the military community? A: We have carefully considered how accommodation could be provided in the future, including taking the preferences of Service personnel into account. The FAM Pilot is planned to start in late 2018 and will test key parts of this new policy. This will enable us to hear what personnel think of the new system. Once the pilot is complete, we will consider the findings. Throughout the process we will be listening to the views of personnel. While the current offer is attractive for some, for many it is not: Service Personnel are essentially unable to choose how, where or with whom they live with in Service accommodation. Our system of mandated entitlements means we cannot account for SP’s increasingly varied accommodation needs and preferences; the benefit of the current offer is unevenly spread among the SP population as a result. This inflexibility forces some SP to opt out of subsidised accommodation, while others are forced to compromise on family life because we cannot support their preferences. Q: Many families have pets, most private landlords forbid pets. How will this be addressed? A: Families with pets will be included in the pilot, and will be able to express their preference (like all families) for SFA or private rental sector accommodation. Following engagement with estate agents local to the shortlisted pilot bases, there is roughly a 50:50 split of landlords that allow pets. In the private rental sector, there will be a range of properties that are suitable for SP and their families with pets. Q: Nationwide the housing market is so variable how will FAM find a model that provides the same benefits/deficits to all? A: The FAM rental payment will be adjusted for each base to accurately reflect rents paid in the private rental sector within the vicinity of the base. The vicinity means the Local Authority areas within a reasonable driving time of the base. The size of the payment will be set using data from the Valuations Office Agency (VOA), a government agency that provides valuations and property advice to government. Q: Clearly houses in the South and London will cost more than those in the North (a 2 bed terrace in Northolt costs around £1400 to rent) how will FAM address this? Will any ‘savings’ be offset by higher rents elsewhere? How will the department measure losses (if any) from a more widely geographically dispersed workforce? What measures will be put in place to ensure exorbitant rent hikes aren’t imposed on families? A: Under current proposals, personnel opting to rent on the pilot would receive a core accommodation payment, plus a geographic rental payment that would account for how expensive the area is. FAM will continue to support subsidised housing for service personnel and the total pot of money for subsidised accommodation will not be cut. The new policy is being designed so that the cost to SP to rent a property in the private sector will be broadly the same as the equivalent type of SFA. MOD will also offer support and advice to SP in finding private market rental accommodation. Due to the inefficiencies in the current system, we believe we can make greater use of the private rental sector to deliver savings whilst protecting the overall effective subsidy personnel receive. These savings will be made through reduced overheads, maintenance and administration costs. Q: Will Contributions in Lieu of Council Tax (CILOCT) still be in place under FAM, or will families have to pay full Council Tax? If they have to pay the full tax then will the varying values be recognised through the proposed allowances? A: Personnel who rent will pay normal council tax directly to the local authority. The rental payments provided will take into account the difference in council tax costs across the country. Personnel in SFA will continue to pay CILOCT. Q: Will a SP with their own home still be able to use mess accommodation at no charge? A: FAM Policy is still being developed and we will share more detail as it is agreed. Q: Will allowances under FAM be reviewed annually in line with inflation, or will they be set indefinitely? A: Allowances will continue to be reviewed as they are currently, in line with policy. Q: If a family uses Forces Help-to­-Buy to purchase a buy-to-let property then will they still be able to access SFA/rental allowances as they continue to move around? A: See Forces Help to Buy policy (JSP 464) for more detail but in summary, a property for which FHTB has been claimed must be intended for the Service person’s own immediate occupation, or that of their immediate family. It is not intended for the purchase of ‘buy-to-let’ properties, any other second property or to extend or modify a second property. Q: Would it not be cheaper, in the long run, to bring housing back ‘in house.. The collapse of Carillion and the mistake selling property to Annington in the first place suggests that opening it up to the market does not work for the public sector and its services. A: Service accommodation is getting more expensive and lacks flexibility to meet our operational and business needs. With the Strategic Defence and Security Review 2015 (SDSR) committing us to reducing the built estate by 30%, the laydown of forces across the UK will change and significant capital investment would be needed to meet their accommodation needs. Widening entitlement to unmarried families and building homes to accommodate forces at their new locations is unaffordable. Q: If a couple are both serving then will they each get an allowance towards their mortgage? A: FAM Policy is still being developed we will share more detail as it is agreed. 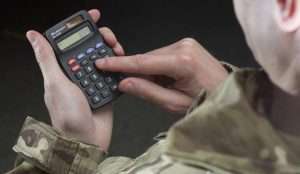 Q: Are there any proposals to make military personnel exempt from stamp duty when incurred as a result of a move for service reasons, as for Civil Servants? A: The policy for home purchase moves is still to be confirmed, however the current position is that personnel will be provided support for professional service fees when purchasing a home for the first time. This support will not include the cost of stamp duty. Q: An unmarried serving person currently has to pay for mess accommodation even though they are paying a mortgage with their partner, but a married serving person with a separate primary residence gets their room for free. Given that FAM is likely to include unmarried couples for the first time, will this inequality be removed? A: FAM Policy is still being developed we will share more detail as it is agreed but this question reinforces the need to provide a fairer, more flexible accommodation model. The inflexibility of the current system forces many SP to opt out of subsidised accommodation, while others are forced to compromise on family life because we cannot support their preferences. Q: When will we be told what FAM is and if this has already been published where can I get further information? I am very interested in this topic and would like further information and signposting as to how I can become more involved in development and roll out of the model as a family representative. A: We have been working with the Families Federations and other organisations to understand the views of Service personnel and their families – these will play an important part as we start to make decisions on the future shape of the accommodation model. We will also be speaking with Service personnel at pilot bases as we prepare to pilot FAM. Q: Was there any voice for families sat on the original steering group developing this model? There is no point developing a new model without having user input at the beginning unless asking for opinions after the model has been developed is a simple tick box exercise, which at the moment it feels as though it is. How will the new model be piloted and what will the evaluation be looking at? A: The accommodation team is currently developing a pilot with a planned start date in December 2018. We are currently designing what the pilot will look like, including agreeing locations – Top level budgets (TLBs) are having a substantial input to this process and we will be able to tell personnel more in the coming months. As part of pilot design, we are also thinking about issues that we know are important to Service personnel and their families, including how the MOD delivers welfare, schooling arrangements, and the potential impacts on unit cohesion. We are also actively talking to Service Personnel, their families and representatives including Service Families Federations to understand their preferences. We will use this information to help develop the pilot and refine the policy. Q: Having undertaken 27 years’ service and now being informed the FAM model relies solely on the size of your family (how many children you can produce) what difference is this to the model used for housing benefits people, ie the more kids the bigger house, and why are families who are unable to or choose not to have children being discriminated against? There is no reason to have a family it is the individual’s choice. A: The current accommodation offer is not equally available to all. SP should be provided with a flexible system that meets different needs at different times – not dictated by rank, age or marriage. If you have any further questions to put to the FAM team, please feed them through to our housing expert at the Families Federation, Stan Brathwaite and he will collate them and once we have enough, we’ll feed out the answers through this same process.